There is strong demand for homes in Perthshire with active purchasers looking to buy in the county, many relocating not only from other parts of Scotland but also all parts of the UK. The property market in Perthshire is now entering the traditional core selling season. For the first three months of 2018, the number of people registering as potential purchasers with Galbraith increased by 52% compared to the previous quarter. The number of properties registered to sell through Galbraith rose by 5% compared to the preceding quarter and the number of viewings conducted during the quarter (1 January - 31 March) increased by 34%. We are seeing greater activity in the market with a reduction in the time between a property being viewed and an offer being made. Buyers are not only local to the area, but also from the rest of Scotland and south of the border. Perthshire is a highly sought-after county - it is very accessible to Edinburgh, Glasgow and other parts of Scotland with the excellent road network whilst a wealth of outdoor pursuits and excellent services are all to be enjoyed. 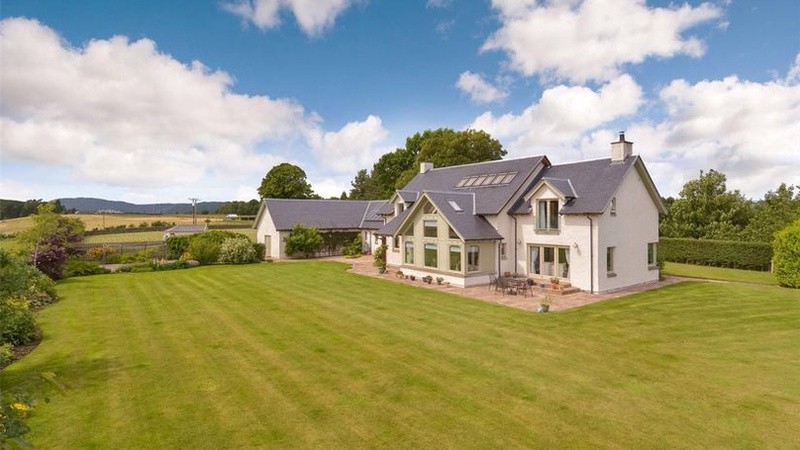 Perthshire is one of the most scenic counties of Scotland and rural property continues to be of huge demand. Buyers continue to seek country properties with land, whether it be 1 or 2 acres or as many as 15 to 20 acres. The rural life, with horses, livestock, hens or vegetable garden is a perpetual request with no sign of demise. Over Dalkeith Farm is a delightful smallholding extending to some 25 acres and is currently run as a riding school and livery business. Fishing rights on the River Devon, floodlit outdoor riding arena, stables, three acres of woodland. The house has four bedrooms and two reception rooms, with a modern extension. Balgreen is a bespoke modern country house with four bedrooms and two reception rooms finished to a high standard and situated in a quiet rural setting within commuting distance of Perth and Dundee. The property has expansive garden grounds extending to approximately 1.75 acres with double garage and summerhouse.